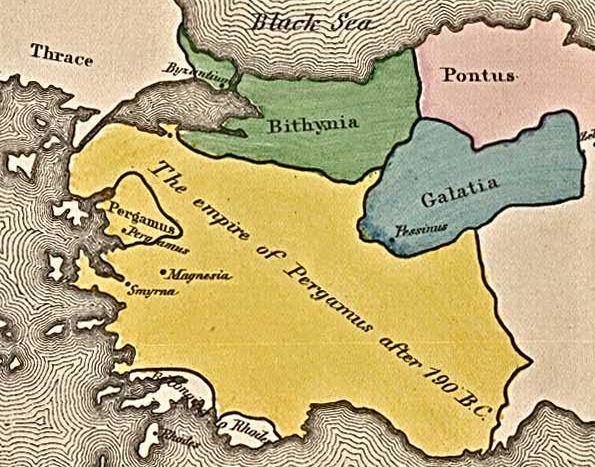 The Kingdom of Bithynia was a realm in northwestern Asia Minor, founded in the early third century by Zipoetes, chieftain of the Bythyni - a Thracian tribe. The Kings of Bithynia founded Nicomedia, which soon rose to great prosperity, and for a while the kingdom of Bithynia had a considerable standing and influence among the minor monarchies of Anatolia. But the last king, Nicomedes IV, was unable to stand against Mithridates VI of Pontus. After being restored to his throne by the Roman Senate, he bequeathed his kingdom through his will to the Roman republic (74 BC).